In the NY and Brooklyn area, Shakey is a resident Dj for the Gotham Girls Roller Derby competitions, Rubulad, House of Yes, Dubday Mondays, Brooklyn Zoo, Jungle Revival, Bang On, ACavallo, Party Erotique, New Hue, Gemini & Scorpio Events (Swing House, Nouvelle Epoque, the Russian Baths), as well as many local Burning Man fund-raisers. She has releases on Boogie Boutique, Cotopaxi Music, and more recently, an inclusion on Jon Kwest's Winter Moombah Conference compilation. 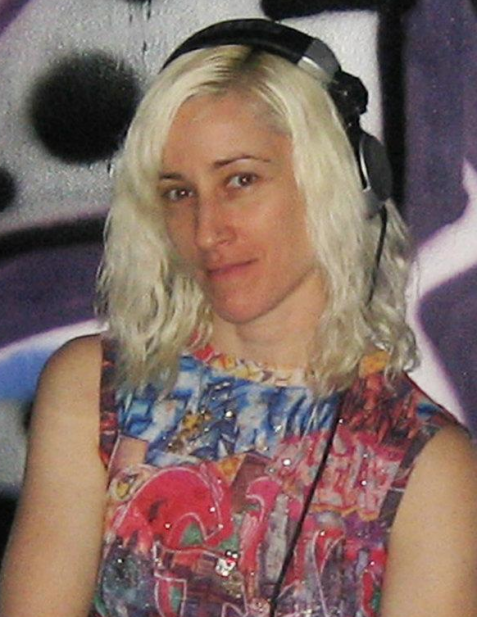 She created and directs "Shakey's Record Fair" and the "Warper Party" (NY's largest monthly electronic music showcase) for which she has created over 30 radio shows which stream on ArtonAir.org. She has written about music and more for Wax Poetics, Sweet Action, and Bust magazines. Shakey is contributing writer for the blog Controllerism.com. She owns a 9000+ vintage vinyl record collection, performs live with her bass and laptop duo "FreebassBK", and volunteers to teach young women to Dj at the Willie Mae Rock Camp for Girls and the Lower East Side Girls Club.